Governance is ministry. More people will spend eternity with God, and more people will experience the love of God during their lifetime, if Christian churches and organisations are governed by godly, diligent and high-performing boards. Invest in developing your board! Being a board or council member of a local church, or a Christian school, or a Christian mission or ministry, comes with wonderful opportunities, and serious responsibilities. In fact, in order to maintain your charitable tax status, the ACNC governance standards require that most organisations make sure that your board / council members understand and follow their legal duties. 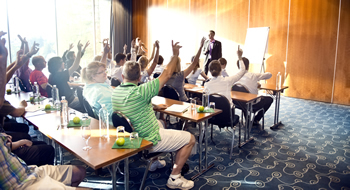 These ANNUAL training events will help your board stay abreast of the latest issues, and continually improve your governance. But governance not just about obligations! Those in the boardroom have more opportunity than anyone else to steer the ministry towards its mission! It's a tremendous privilege, but poor governance can seriously hamper your efforts to achieve something for God's kingdom. CMA and the CMA Standards Council invite you to a one day Professional Development event, featuring plenary sessions, sector updates, panel discussions and two elective streams. A team of local, national and international presenters will lead you through the day, with a deliberate focus on the issues related to serving on Christian boards. Two parallel elective tracks: a 'Ministry Governance 101 - The Essentials' track, designed especially for church and ministry board members who are new to the role, or have had no prior governance training; and a second track addressing a range of governance issues in greater depth. Receive a certificate identifying what modules you have completed. We'll maintain an ongoing online register of governance training that you can access in 'MyCMA' to remind you (or show your colleagues) what training you have received - great for tracking Continual Professional Development credits! Hear New Testament scholar, Dr Gary Hoag, unpack some of the teaching from his new ministry governance book, 'The Council'! These events are hosted by CMA, and the CMA Standards Council. 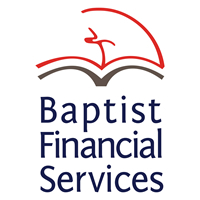 Thanks to the generous support of sponsor Baptist Financial Services, we are privileged to have Dr Gary Hoag from USA join us for all five events. Gary is a New Testament scholar, President of the newly formed Global Trust Partners, and is the author of the just-released book, 'The Council', examining the Councils in scripture and their implications for modern governance. Attention Church / Ministry Fundraising Personnel! Gary Hoag has led a series of fundraising webinars in 2018 that was very well received by those who appreciate his unique mix of spiritually-focused theory, and practical application. In all cities where the Governance Conferences are taking place, Gary will also be speaking at a breakfast for fundraisers, and then leading a morning fundraising dialogue. Dates, locations and details are on the relevant event links, below. Please let your fundraising team know. This is a rare opportunity to hear from one of the ministry world's thought-leaders on this vital topic! For more details of each event, and to register / pre-register, click below.